As you can see I've made a few little changes to the blog, I tieded up the right sidebar including new and cuter social media buttons and also added a customized badge of my Tastespotting page and a link to follow my blog via Bloglovin'. Some small improvements that I hope you like, at least it looks better to me, less cluttered up and more cute. But what really makes me proud and happy is to finally wear the Certified Yummly bagde! Let me say...YAY! That means my blog is now on the Yummly 'A-list' of food blogs and I'm so proud that one of the best food sites in the world has added Cinnamon Girl to their favorites! Who would have thought that I'd be in the same list as some of my favorites food blogs!!! It's an honor that they consider my bakery blog good enough to be featured on their site. "On the Yummly blog we feature the best food blogs. These sites have great recipes, unique insights, beautiful photos and other things we love." To finish this quick post here's a couple pics of an impromptu Crème Brûlée I made last week with some leftover custard from making cupcakes. 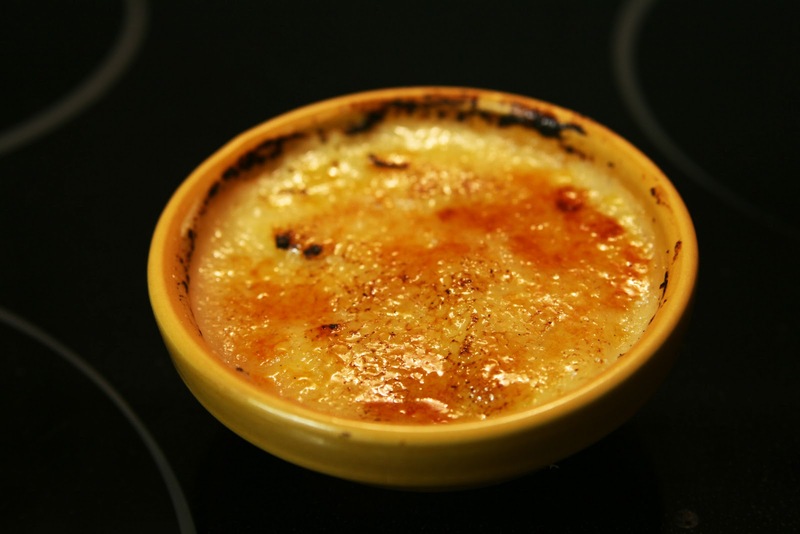 I will share a full recipe and more pictures of a properly done crème brûlée soon! 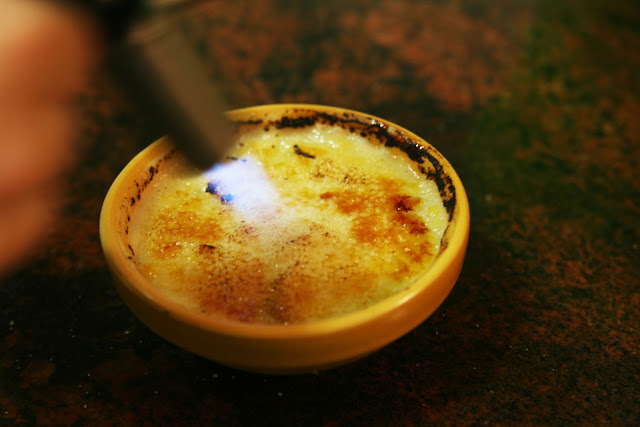 i love love love creme brulee! Me too! It's my mom's favorite dessert also. :-) I love the crunchy caramel layer on top! Qué buena pinta tiene, seguro que estará muy rico! Gracias chicas! (no sé quién de las dos escribe esta vez, jeje). Estaba bastante rica, ya le he cogido el punto a la capa crujiente de caramelo que lleva por encima.